Why I left the Baha’i faith after 15 years? – An interesting read! My name is Dereje Amera. I live in Addis Ababa, Ethiopia. I was a Baha’i for 15 years, meaning I declared myself as bahai at age 22, and I resigned by heart from this Faith at age 35. Now, I am 47 years of age. I am alone and single. Reason I am writing to you is not I am not looking for marriage or money or any kind of material advantage, but on matters and aspects which you adders on your site, especially few of the points you state on your site are in alignment with what I think and understand by now, after certain and strange experience visited my life few years back which changed course of my thinking and understanding to a different perspective about this Faith. I would appreciate I can receive few insights from your side as well since that given bizarre experience put me in perplexity for few years, which afterwards happen to become clear and clearer to me since I made my own personal investigation and research in my own way on that given subject matter. Like any ordinary Baha’i which belongs under administrative guidance and obligation from Baha’i World Center in Haifa, as head of that religion, I used to believe and think that Shoghi Effendi was true guardian of that Faith. Odd incident hit my life while I used to serve at Haifa, Bahai World Center (September 19, 2003-February 22, 2006) for 2 years and 6 months in which that given personal and strange experience shifted the way I used to think and understand about that religion. I informed that given strange experience to Haifa people, and I was not satisfied by their auto reply form letters, which forced me to make further personal study on that given religion from different experience and perception too. In that given experience, which lasted too for 3 weeks, February 3-22, 2006, in one of the weeks, following experience was practiced and observed which is still mystery to me and this experience is personal, one has every right to share it to others for sole purpose of looking for other people who could have such given similar experience for further and better understanding as well. This is not to attack anyone or party, but with sole intention of seeking the truth. After I returned to my flat on that Thursday afternoon, something made me write in my lap top, which goes like, Guardianship is not something that can be fabricated or claimed. Here I made a pause and I was in fact confused since I had no clue of such a thing even if I knew that Mason Remey claimed as guardian but I was not sure of that fabrication part. Later on I made my own research that Shoghi effendi must be fabricated guardian. 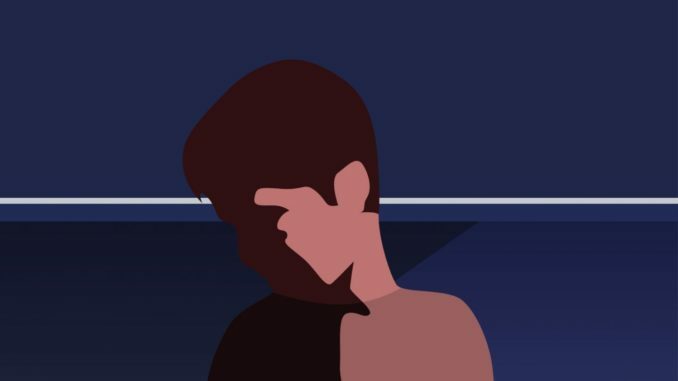 Point in here is that it is not to ask anyone or tell that other people should go on what I say and tell; as matter of fact everyone has right to understand things in one’s own way, but everyone is accountable and responsible to the truth otherwise life would be meaningless and nonsense. Even if it is hard to make such kinds of conclusions of past events, being on today, there are mysterious realities of life that require different way of looking at things in way that needs mysterious formula and derivation since such things are mysteries and they cannot be scientific and they do not require systematic methods and approaches as well. I would like to request you to share to me any factual documents or materials about such given aspect for my own personal consumption. BTW, I have great respect for Ruth White as I believe that she is sole hero of such truth at that time. Want to be a contributor for The Caravan Magazine? Interested in contributing to the Caravan Magazine by writing a guest article? 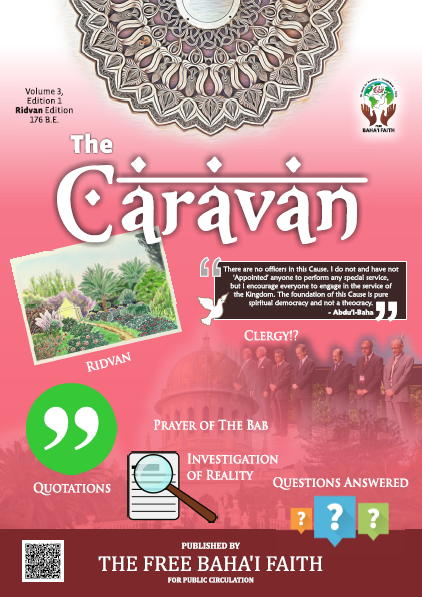 Kindly send us your article at thecaravan@freebahais.org and if we find your article unique, knowledgeable and interesting enough for our readers, we will surely publish it in our upcoming issue. If you have any other queries, you can write to us at info@freebahais.org Thank you! Thank you for writing to us! We read every word of your email and the attachment and understand your feeling and agree with your sentiments. We have been receiving emails from a lot of Baha’is who are quitting the Baha’i Faith after understanding that the Guardianship does not belong to Shoghi Effendi and thus the entire process of Administration, which was introduced in the faith after the passing away of Abdu’l Baha was against the teachings of Baha’u’llah and thus false. As you’re aware that the Will was forged and Shoghi Effendi was never appointed by Abdu’l Baha, it becomes obligatory upon you to find the truth, which is with Baha’u’llah and Abdu’l Baha alone. We, the Free Baha’is, believe in the pristine message of Baha’u’llah and accept only his words to be a proof upon us. No one has the right to interpret the words of Baha’u’llah, accept Abdu’l Baha, as he was appointed by Baha’u’llah himself. When Abdu’l Baha has clearly stated that there will be no officers in the Cause, then how can Shoghi Effendi claim Guardianship after his passing away? By reading your story we can conclude that you have certainly been divinely inspired by Baha’u’llah, the Great Manifestation himself. Now that you have come across the Free Baha’i Faith, even this is a sign from Baha’u’llah, it is him who would want to see you guided back to the path of salvation. As you rightly mentioned, Lady Ruth White has done a fantastic job of Independent Investigation of Truth and made the true teachings of Baha’u’llah evident for the Baha’is, we thus take her as our inspiration and aim to take her efforts ahead in spreading the pristine message of the faith. We would request you to kindly go through our website, read all the available materials and write back to us in case you have any questions. We would love to help you with your queries.